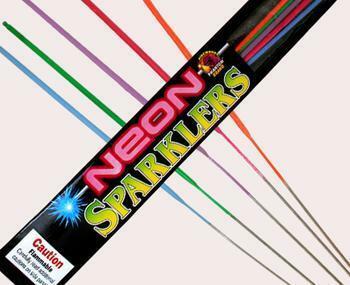 Glittery handheld sparklers are a staple at many Fourth of July gatherings, but even the innocent backyard sparkler can cause eye injuries and burns, experts warn. Children age 5 and younger are most at risk of sustaining injuries while holding sparklers, which can heat up to a blazing-hot 1,800 degrees. School-aged children suffer an estimated 1,900 fireworks-related burns and eye injuries per year during the weeks surrounding the Fourth of July -- and sparklers, statistics show, are the most frequent cause of fireworks injuries. Never light more than one. One sparkler is enough responsibility for little arms. Keep water nearby. Even after a sparkler fizzles out, the sticks stay hot. Toss used sparklers in a bucket of water to help ensure little feet don’t get burned by used sparklers. Soak them for a few hours before discarding. Wear closed-toe shoes. Flip-flops aren’t a good fit for Fourth of July festivities that involve handling sparklers. Closely supervise kids. Keep a close eye on sparkler-wielding little ones. Make sure they hold their sparkler at arm’s length, stay at least six feet from one another, and don’t run with, throw, or hand their sparkler to a pal. Consider using glow sticks instead. For a fun and flame-free way to light up the night, consider picking up a few glow sticks for kids to play with. Watch a professional show. Consumer fireworks aren't necessary to enjoy the holiday. The safest way to view fireworks is to watch a professional show, according to the Council.